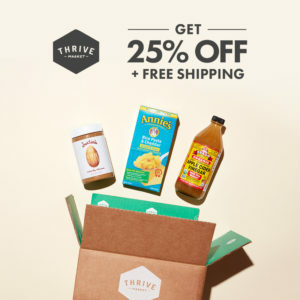 Traveling doesn’t have to be an unhealthy experience. 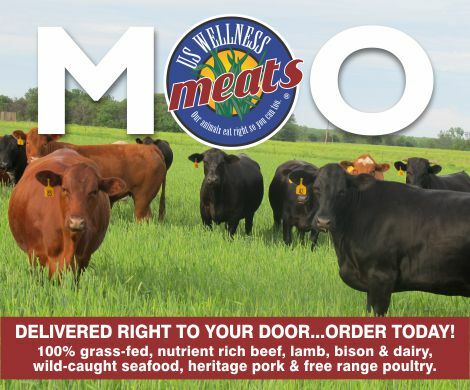 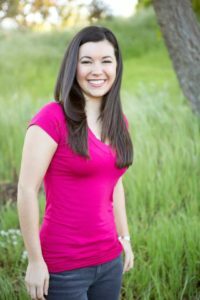 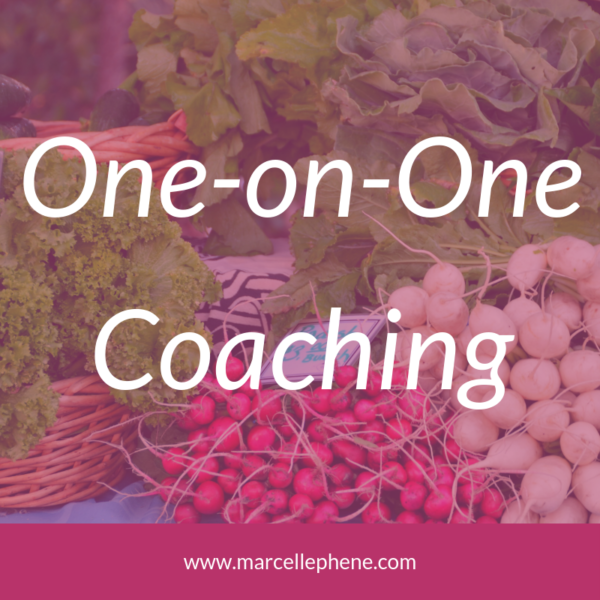 Likewise, healing diets don’t have to exclude you from exploring the world! 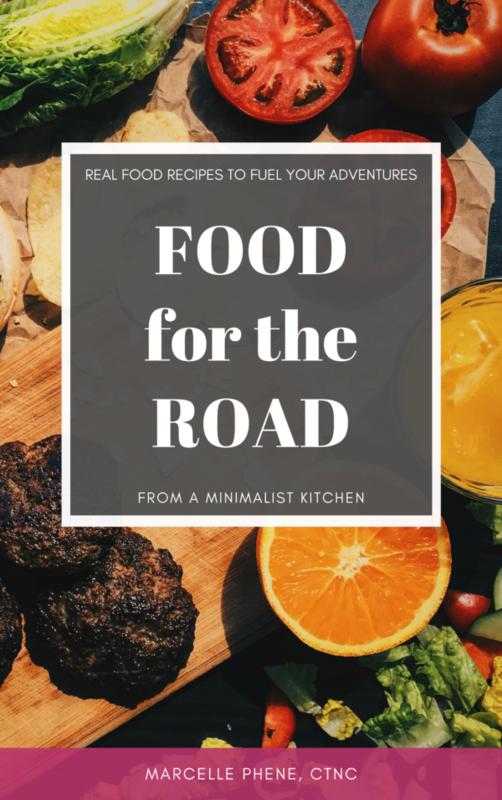 This ebook shares my strategies and tips for eating healthy, real food while traveling in Perú. 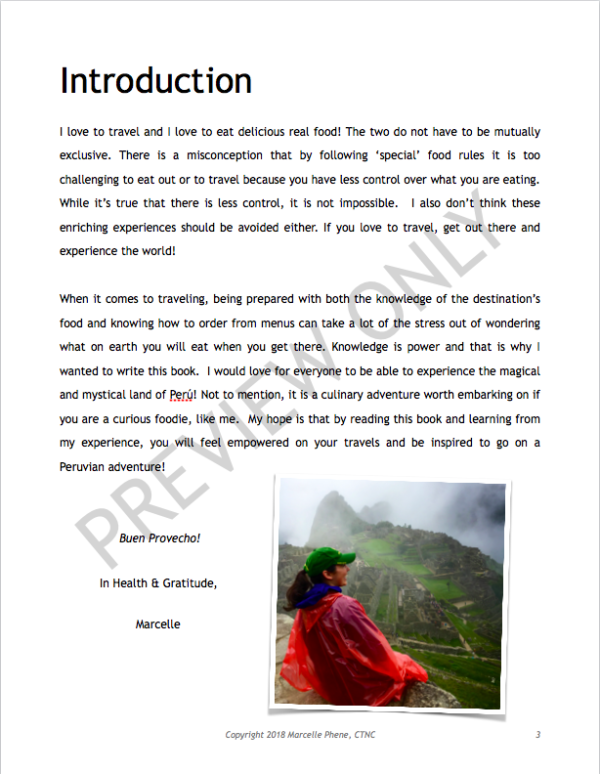 If you’ve ever dreamed of seeing Machu Picchu, this ebook will help you make the trip of a lifetime a reality! 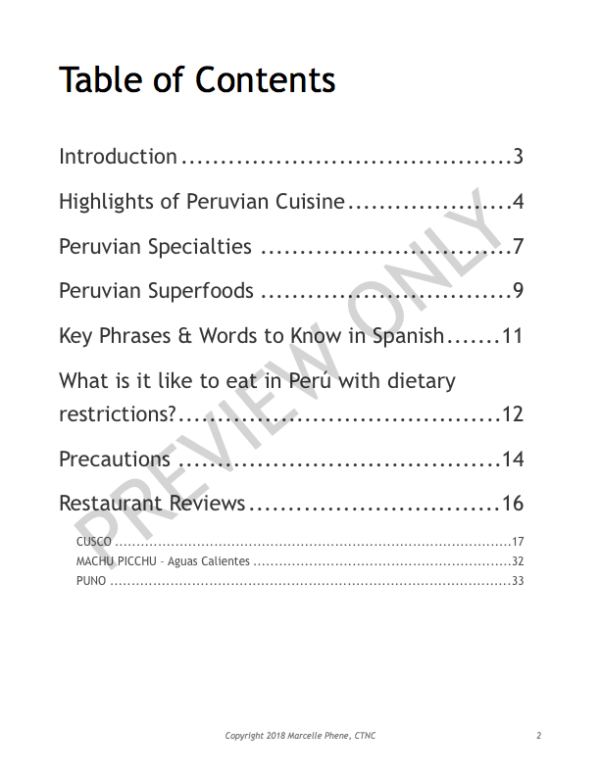 Want to know what it felt like to eat in Perú with dietary restrictions? Looking for some key phrases and words in Spanish to help you navigate the menus and restaurants? Plus, over 15 restaurant reviews from Cusco to Machu Picchu to Puno! 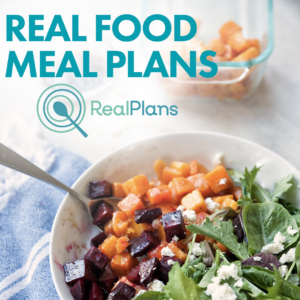 This ebook contains all of the above and more! 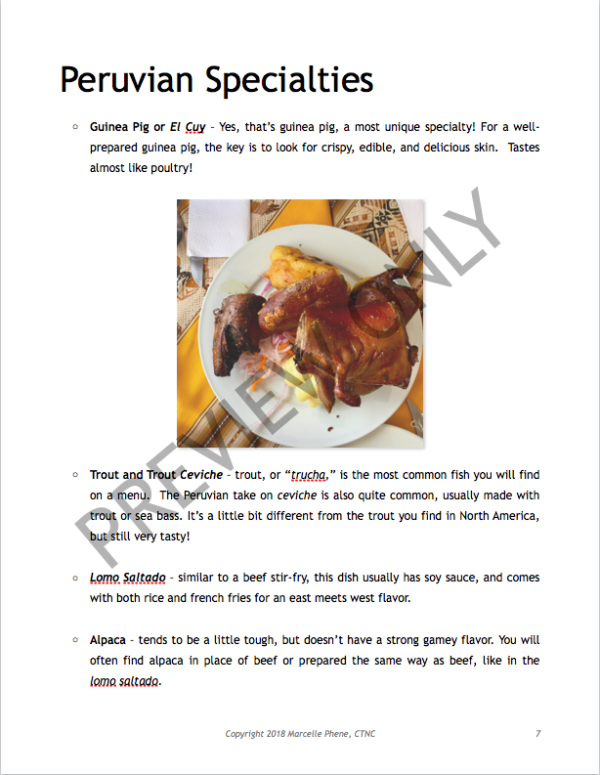 If you or someone you know is planning a trip to Perú, this ebook will serve as your culinary guide. 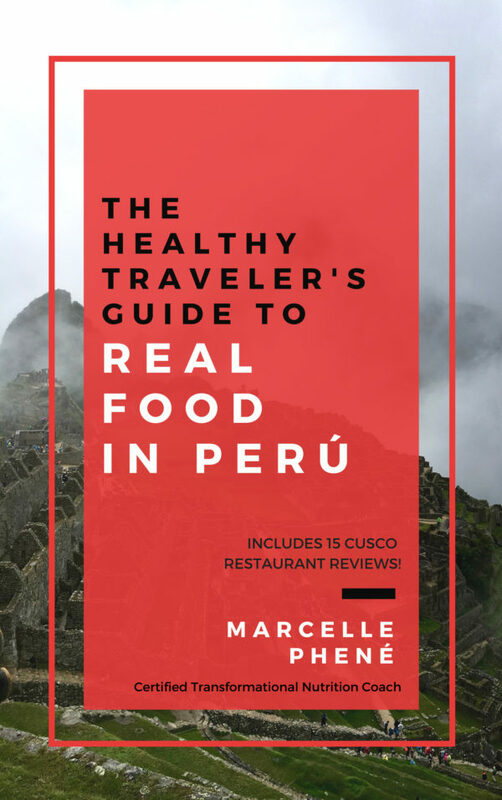 It includes everything you need to know about dining well and staying healthy while exploring the mystical lands of Perú!